William Robert Feldtmann, engineer and metallurgist, graduated at the Royal School of Mines in Freiberg, Germany. He came to Johannesburg early in 1888 and after prospecting for some time joined the African Gold Recovery Company. Through his work for this company he was closely associated with the development of the cyanide process of gold extraction on the Witwatersrand. In 1894 he published a pamphlet in Johannesburg, Notes on gold extraction by means of cyanide of potassium (McArthur-Forrest patents), as carried out on the Witwatersrand gold fields, Transvaal. This may have been based on his paper, "The cyanide process in the Transvaal mines", which was published in the Journal of the Society of Chemical Industry (Manchester) in the same year. Also in 1894 he became a foundation member of the Chemical and Metallurgical Society of South Africa. He served on its council to 1897 and was elected vice-president for 1895/6 and president for 1896/7. His presidential address, delivered in July 1896, also dealt with the cyanide process (Proceedings, 1894-1897, Vol. 1, pp. 234-238). At meetings in September and December that year he and William Bettel* delivered a joint paper, "Notes on the estimation of sulphides and cyanates in commercial cyanide", which was published in the Proceedings (Vol. 1, pp. 267-276). Feldtmann was also a member of the Geological Society of South Africa (founded in 1895) and of the (British) Institution of Mining and Metallurgy. Towards the end of 1897 he left for Western Australia on behalf of the firm Bewick & Moreing, to take over the management of the Brown Hill mine. By 1905 he resided in London, where he did metallurgical research and gained further distinction as a metallurgical engineer. Subsequently he practiced as a consulting engineer to the Ashanti Gold Mine for 20 years, spending part of his time on the Gold Coast (now Ghana). 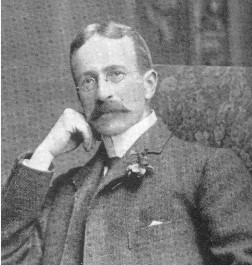 About 1925 he became the general representative of the South West Africa Company (of London), on whose behalf he was engaged in the exploitation of vanadium deposits. He remained a member of the (renamed) Chemical, Metallurgical and Mining Society of South Africa and was later elected an honorary life member. At the society's 40th anniversary celebrations in 1934 he was acknowledged as a corresponding member of council and a contribution was read on his behalf. In his obituary he was described as a very kind person, always ready to give help and advice to the younger members of his profession. He was married to Mary Schoch, with whom he had several children. Chemical and Metallurgical Society of South Africa. Proceedings, 1894-1899, Vol. 1, lists of members and office bearers; Vol. 2, pp. 358-362, Fourth annual meeting; pp. 836-847, Notes and comments. Chemical, Metallurgical and Mining Society of South Africa. Proceedings, 1902-1903, Vol. 3, list of members; Journal, 1904/5, Vol. 5, Members; 1934, Vol. 34(9), pp. 279-318, 40th anniversary; 1938, Vol. 38, pp. 437 and 472, Obituary; 1940, Vol. 41(1), p. 1, list of presidents. Fora dyskusyjne: William Robert Feldtmann. http://boards.ancestry.pl/thread.aspx?mv=flat&m=2&p=surnames.feldtmann Retrieved on 31 October 2016.